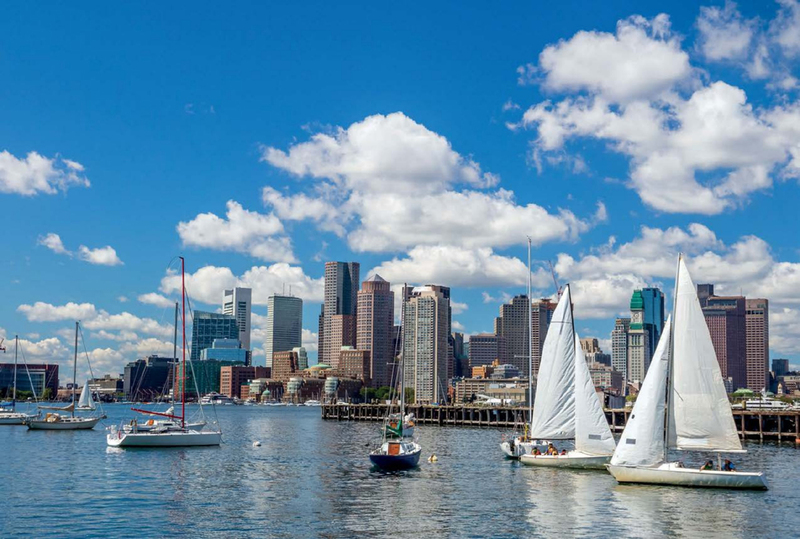 Boston, founded in 1630, is one of the oldest and most walkable cities in the USA. Nicknamed Beantown, the city’s rich history is best explored on foot following the Freedom Trail, a 2.5-mile red line that takes in signifi cant sites such as Old North Church, Faneuil Hall, Boston Commons (take a swan boat ride), and the USS Constitution whose historic battle with HMS Guerriere during the War of 1812 gave it the name ‘Old Ironsides’. Boston is also an international centre for education, home to almost three dozen colleges and universities.